by jamiesaunders ~ November 17th, 2010. Filed under: Uncategorized. During a recent class discussion about air travel, I discovered that you can purchase carbon offsets to mitigate the environmental footprint of your flights. The airline industry is responsible for 2% of all greenhouse gas emissions. Therefore, I was pleasantly surprised to learn about this concept and its reasonable prices. Despite air travel’s significant carbon footprint, I believe it is too important to eliminate or even limit. Traveling has been an important part of my life and has helped shape who I am today. Visiting other countries and cultures helps one gain perspective in life and, in most cases, grow as a person and as a member of society. Flying also enables people to visit family and friends that might otherwise be impossible. The internet is combating the need for business travel via virtual conferences; however, sometimes face-to-face meetings can’t be replaced. Last but not least, vacations to foreign countries can be an invaluable way of escaping the stresses of everyday life and restoring balance. One company that would probably agree, but is nonetheless committed to environmental responsibility is Flight Centre. It has no net impact on the environment through its own operations (Environmental Office Policy), and aims to assist its customers to minimize their carbon footprint (Offsetting Policy). Carbon offsets are simply credits for emission reductions achieved elsewhere by projects such as wind farms or solar installations. Flight Centre aims to be “carbon neutral”, which involves making all reductions currently possible, and then using carbon offsets to address remaining emissions. Although the best thing for the environment is to reduce greenhouse gas emissions instead of offsetting them, at present it is impossible to reduce emissions to zero. Purchasing offsets is a practical and inexpensive way to compensate for emissions that otherwise wouldn’t be addressed. Offsetting a short haul flight (up to five hours) costs approximately CAD$5-$7. For longer haul flights the offset cost ranges from approximately $15-$25 dollars depending on the length of your flight. 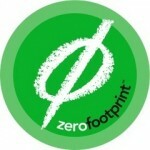 Flight Centre has teamed up with Cleaner Climate Ltd. to provide a link to a “carbon calculator”. This adds a simple procedure at the time of booking your travel arrangements that allows you to determine the carbon emitted from your flight and voluntarily fund a renewable energy project in a developing country to offset it. Carbon offsets are also available with Air Canada. When you purchase the offset through Air Canada, the money goes towards three projects: the Forest Restoration Project, the Landfill Gas Recovery Project, and the Tire Recycling Project. You have the option to allocate your “donation” between the three projects as you like. For example, you could allocate your entire offset to the Tire Recycling Project. I believe the idea of carbon offsetting demonstrates sustainable progress within the airline industry; however, I believe it can be taken much further. I would love to see governments intervene to make carbon offsets included in ticket prices. The cost of carbon offsets are insignificant relative to the cost of the tickets themselves. I am going to Sweden for a Student Exchange in January and returning in late June. The cost of my round trip flight is approximately $900. The cost to offset the 1.570 Tonnes of CO2 that I will be personally responsible for is $24.65. Considering some airline companies charge $50 for a second piece of luggage, I would feel quite petty complaining about an additional $24.65 on a $900 flight that’s purpose is to save the environment. I am a strong supporter of carbon offsetting in air travel and would like to see it make an appearance in the gasoline industry. Perhaps, a fourth button at the gasoline pump. « JD pulling a Ted Danson?